I recently had to export a whole number of tables from a MySQL database into .csv files, but to my surprise (or should I say disgust), exporting to .csv with headers is not possible by simply using to the “SELECT … INTO OUTFILE” syntax. 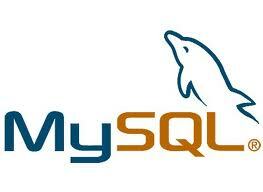 Fortunately all is not lost, although to me this is more proof that MySQL is not really suitable for large applications. Here is how I solved the problem. I created a table (`tables_to_export`) with a single `tablename` column which I populated with the names of the tables that I wanted to export. I then created a procedure to traverse this table by means of a cursor so I could build the sql statements required to get the desired export result. Basically the trick is to create a text string of comma separated column names that is used to create a select union statement to combine the column names with the data. There are quite a few examples of doing this with a single table and known column names, but I wanted to do this for a whole lot of tables in a loop. I also need to repeat this export in future, so it made sense to automate the process. -- Sweet, now the files are being written! This stored procedure should function as it is above. I have created parameters and some simple error checking to assist with using it more generally than just my particular use. Please make suggestions and improvements and post them in a comment if you’d like. The only problem with this trick is than only works with ‘,’ as field separator. and change the comma to whatever default delimiter you want and then don’t specify any delimiter when you call the procedure. Will that work? What delimiter where you looking for? I’ve been meaning to do something like this for a while now. Thanks for this. Excellent, thanks for the link! It’s much easier to read in pastebin as well. I’m hoping MariaDB will add these basic features to the product. It should have been there a long time ago.